Inman is interviewing real estate professionals in every area of the field to talk about technology use. Here’s Rob Chrane, president and CEO at Down Payment Resource and an Inman contributor. What model phone do you use and why? 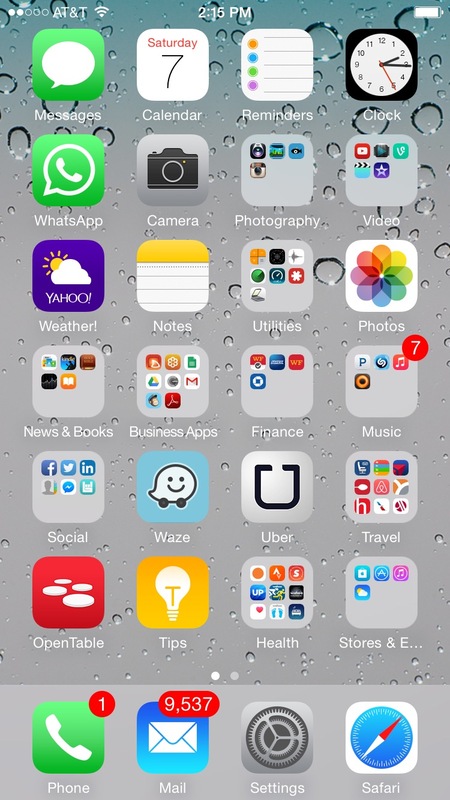 IPhone 6 — quality, familiarity and loyalty to Apple. At home base, 80 percent laptop, 20 percent mobile. On the road, 70 percent mobile, 30 percent laptop. As CEO, my job is to keep casting our mission and vision while glancing into the future for new opportunities and threats. Once that’s in place, I need to establish and monitor priorities, make my best guess with input from the team as to when to adjust strategies and tactics and when to stay the course. Give the team the best support, encouragement and direction possible along with the space to do what they do best. Stay engaged with prospects and customers while developing new partnership opportunities and think about creative solutions to our challenges. I do some combination of these activities every day while praying that I don’t drive it into a ditch. We have an unbelievably talented team of highly motivated self-starters, and that makes my job much easier. It’s people, not technology, that support my daily responsibilities. Our company is virtual, so some low-level technology is vital to our communication and efficiency. It’s easy to overrely on email and I fight to remind myself to just pick up the phone every once in a while, whether to talk with colleagues, customers or prospects. I see what’s working for others and try not to get distracted with every shiny new bauble. Finding data to quantify the efficacy of our product. Tracking the funnel steps we do have access to proves without a doubt that Down Payment Resource (DPR) is the most powerful lead-gen tool in real estate, but we don’t have visibility into what happens before and after agents and consumers use DPR. Right now, we’re manually reverse-engineering closed transactions in order to connect DPR clicks on those properties by consumers and agents when they were active listings. The results are exciting, but just the tip of the iceberg. Once we find the right combination of data, we’ll source it then automate the process. We’re also developing new partnerships with enterprises conditioned on sharing that type of information with us. Volume of information and fragmentation of its sources and distribution. This overwhelms real estate professionals and consumers alike. A strong-willed and masterful designer will employ a “less is more” approach and recombine existing technology and data to create a simpler path to homeownership. The abundance of technology and data has changed the industry by making its service delivery even more chaotic and undisciplined than ever. The tools and information currently available should be making it easier for homebuyers to understand their full range of choices and optimize the financial transaction and its ongoing effect. This may be true in some cases, but we’re still seeing too many consumers overwhelmed and driven into the arms of whoever promises them the path of least resistance. Too often, they end up worse for it. Outlook and Gmail. Maybe it’s because I’ve used it so long, but Outlook still seems more flexible and easier to navigate. Transitioning to Google Calendar. Syncs automatically with iPhone better and easier to coordinate with colleagues’ calendars. Bad experience trying to sync with iCloud and Outlook. Transitioning to Microsoft Office 365. With over 63,000 files, I’m pretty much stuck with Office. It upgraded to the latest versions, runs really fast and gives me the flexibility to access it anywhere. For docs that need to be signed, I use Adobe because I’m most familiar with it and don’t do a high volume. Mostly my iPhone, but I have a Sony RX100 for leisure travel when I know there is going to be once-in-a-lifetime scenery and wildlife. Fits in my pocket and takes awesome photos even in low light and a wide array of easy-to-use special effects. HP Envy and an iPad. Inman.com, of course! Best chance to keep up with the industry and stimulate new ideas. LastPass because I’ve forgotten at least one of my logins. Yahoo Weather on my phone. Realtors, MLSs and mortgage lenders who read about us in the media, our newsletters or find us searching for down payment information. Wahoo Bluetooth heart rate monitor and BlueSC sensor linked to Strava app while cycling or running. Playing with or walking our dog, Sophie. Would you like to participate in Inman’s technology profile? Email amber@inman.com.